Fit close to two dozen language translations for multiple lines of text on smaller boxes. Print specific registration numbers when a product is sold in China or Russia. Print local contact information for importers and other economic operators. Handle a growing list of diverging local regulations and commercial requirements. Provide small durable implant cards in the language of the recipient. Print the MSRP (Manufacturer’s Suggested Retail Price) in Rupees, and other information locally when a product is sold in India. 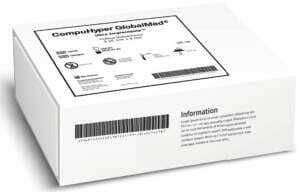 The objective is to perform labeling operations only once for as many products as possible. Only the exceptions should be touched a second or more times. 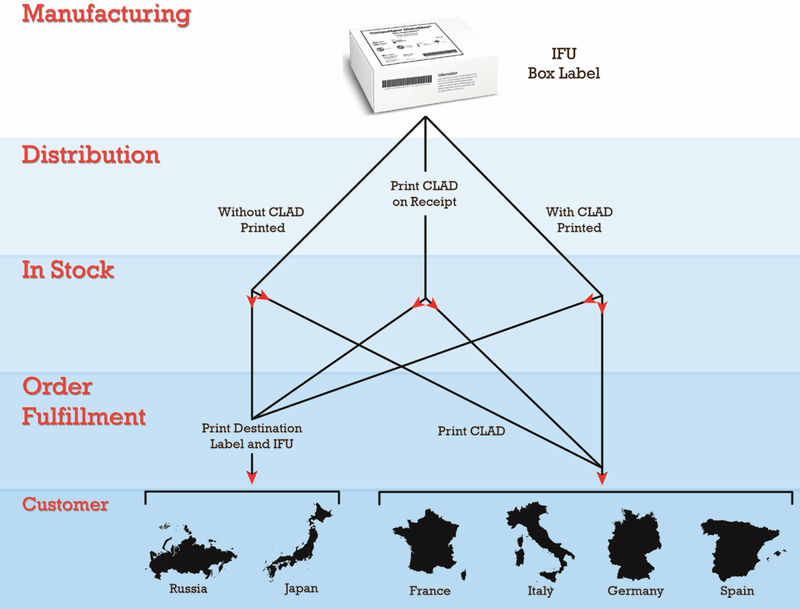 Assuming that one SKU is used to identify a product in all international markets, it has been reported that about 85% of products can reach final destination utilizing a CLAD (Core Languages All Destinations) universal label. This label is applied at the production facility. The manufacturer chooses a set of languages for destinations that it commonly ships most of its products to and includes these languages on the CLAD label; often these are- English, French, Italian, German, and Spanish. After satisfying CLAD requests, there is a need to identify destinations that are not covered by the CLAD. This is done at order fulfillment time, if needed, printing destination specific labels and IFUs (instructions for use). Upload and store IFUs (Instructions for Use) and other documents. Link IFUs to item versions and destinations. Manage label templates by item/destination. Maintain destination language translations in a dictionary. 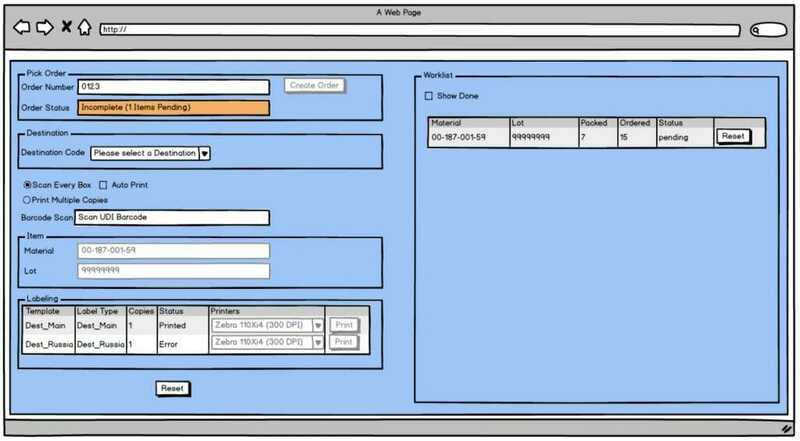 Deliver a browser-based page to read order fulfillment pick-lists and print documents based on user input/scan.